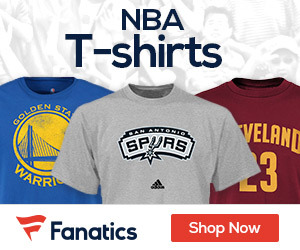 Amico Hoops and Fanatics are teaming up for a limited offer of FREE SHIPPING on an NBA apparel order of at least $30. And all orders arrive by Christmas or they’re free. We have apparel featuring teams’ new looks, throwbacks, alternate colors, you name it. Just click ON THE AD DIRECTLY BELOW, follow the link and place your Christmas order!